Road movies are usually a pretty good time and there’s a good history of them doing well. 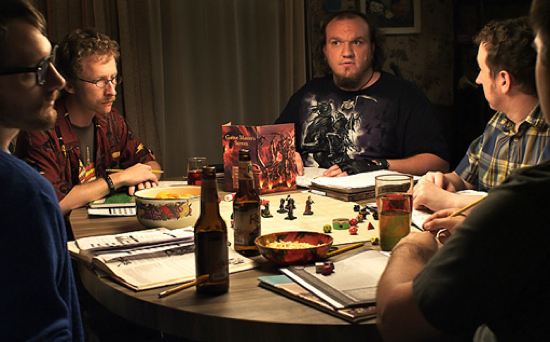 Now, a new movie is looking to take its place in the good time/successful group. In The Scenic Route, Josh Duhamel and Dan Fogler play buddies on a road trip which, as often happens in these situations, goes horribly wrong. It’s directed by Kevin and Michael Goetz’s and written by Kyle Killen, who’s last one was The Beaver. The movie hits theaters August 23. Check out the trailer after the break. Austin, Texas is a great city. With SXSW, Fantastic Fest, great food, music and friendly people, Austin is one of the places I love to visit as much as possible. I might even move there one day. Almost did a few months ago, truth be told, but it didn’t quite work out. Anyway, even with that setback, “one day” still may be even sooner than I think because I’ve got yet another reason to love Austin: Google Fiber. 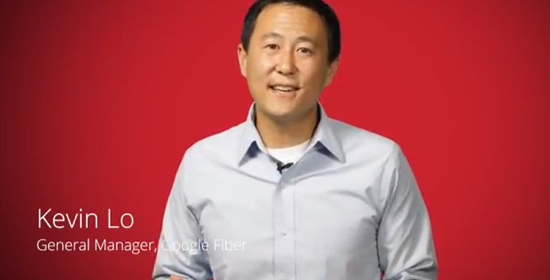 That’s right, Google’s super fast fiber internet is heading to the Texas capital. Currently only available in Kansas City, Kansas and Kansas City, Missouri, Google has announced that Austin will be the next city graced by its fiber love. Although homes won’t start getting connected until 2014, Google made a little video to tell you all about Fiber and what it means to the city. It also makes anyone not living in Austin very jealous. The film distribution landscape just got a bit bigger as online video service Vimeo revealed its new ‘Vimeo On Demand’ service this week at the SXSW Film + Interactive Festival. This new distribution feature will allow content creators to sell films and webisodes directly to viewers. 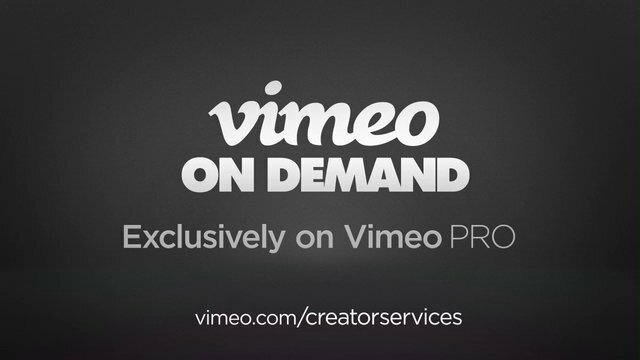 Creators with a Vimeo Pro account can set their own prices, streaming periods, and region parameters for content, and earn 90% of the revenue their content generates. Vimeo On Demand will be viewable across Vimeo-enabled platforms including online and mobile, tablets, and connected TVs. We’re creators ourselves, and we know how hard it can be to get your work out there and connect with an audience. Since we founded Vimeo in 2004, we’ve been dreaming of a world where more and more creators can support themselves with their work alone. Today we’re proud to be taking a big step in that direction, and there are many more exciting steps to come. For more, check out a video from Vimeo after the break. One of the things people liked most about watching movies on DVD and Blu-ray, besides the movie itself, was the supplemental material. Deleted or extra scenes, making-of docs and commentary from the director and stars, in most cases, added to the experience of watching your favorite films. With the explosive popularity of streaming and watching content online, you just don’t get the same supplemental content or experience anymore. AMC’s new service called Yeah! seeks to to change that. Announced at SXSW this week, Yeah! will feature films “enhanced with interactive features including 400-500 individual pieces of original content curated from in-depth research.” These include facts and figures about the movie, quizzes, interviews with the directors and more. If these don’t detract from watching the movie itself, it could be quite a cool service. Some of the films on Yeah! at launch include Superman, Reservoir Dogs, Clerks, A Nightmare on Elm Street, Pulp Fiction, Scream, 300 and The Terminator, with more being added regularly. Yeah! 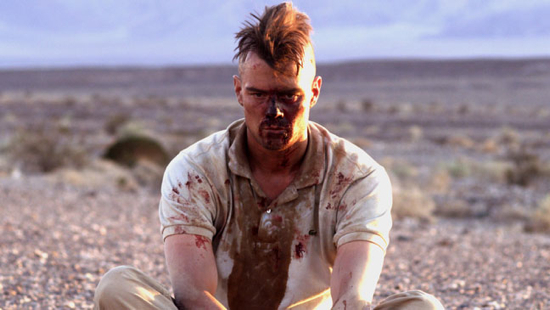 is available now right here, with movies costing $5 for a 48-hour rental. An iPad app is expected to launch this Summer. Tagged: 300, AMC, Clerks, Mobile, Movie Streaming Service, Movies, Pulp Fiction, Scream, Streaming, SXSW, SXSW13, SXSW2013, Tech, Yeah! With the SXSW Film Festival coming up next month, we’re going to be bringing you various trailers and such to highlight aspects of the show. First up is Holy Ghost People with a trailer via the folks at Deadline. 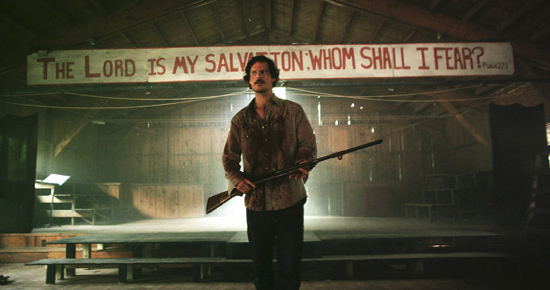 In the movie, a woman asks a former Marine to infiltrate an Appalachian snake-handling church in search of her sister. This movie comes from director Mitchell Altieri, formerly one half of the Butcher Brothers, so expect some blood and violence along the way. It stars Emma Greenwell, Brendan McCarthy, Cameron Richardson and Joe Egender and was written by Altieri, Kevin Artigue, Egender, and Phil Flores. Holy Ghost People debuts March 10 in the Narrative Spotlight section of SXSW. Check out the trailer after the break. It isn’t just movies and music at the South By Southwest event, there’s also comics. Comics and technology, to be exact. Sound exciting? Well, if you want to know more, check out all the info below from the official press release. Yesterday, at the SXSW Interactive Festival, Marvel Entertainment unveiled Marvel AR, the first major augmented reality app from a comic book company. 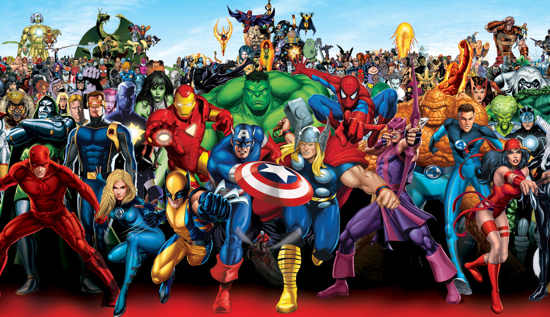 As part of the recently announced Marvel ReEvolution, which brings the world of print and digital media together for a comics experience like never before, the Marvel AR app powered by Aurasma will be released on April 2 for iOS and Android devices. Fans can first discover the power of this new app in Avengers VS X-Men #1, arriving in comic stores on April 4 and kicking off the comic book event of the year in which the world’s most popular Super Heroes go to war!